We all would like to have a website that attracts visitors like a magnet. Whether you’re selling with your website or you’re writing a blog for fun, you’d like to see dozens of comments, hundreds of shares and thousands of weekly visits, right? You create your website; you fill it with valuable content, you add some beautiful pictures, optimize it for SEO and you wait. So, you decide to spread the word about your website. You inform your family and friends, you share the link on Twitter and join a couple of LinkedIn groups. Finally, you get a couple of additional visits, but that’s all. That’s why in this post I’m gathering the most popular optimization tips and strategies to dazzle your future customers and drive more traffic to your site! You look sadly at Google Analytics as it shows very little traffic on your website. You wonder what’s wrong. The website looks stunning; pictures are beautiful, copy is perfect! How come people don’t seem to like it? It’s darn hard to buy anything from you as the paying process is so complicated. You might think that your website is outstanding, but your visitor, browsing through it from the other continent, might dislike it. There is only one thing to check it: you have to test your website and fix all above problems. And I’m not talking about clicking through the website when you’re in your office, sitting comfortably in a chair. Your website visitors browse on their smartphones in places like markets, buses, parks and shopping centers. You need to make it easy for them! I wanted to write this post and not mention SEO because I’ve published quite an essential SEO for dummies guide recently and I didn’t want to repeat myself. Unfortunately, I have to. In my opinion, it’s not possible to permanently increase the number of website visitors without proper SEO optimization. Long story short: if you have an opportunity to gain some organic traffic from Google for free, it’s not very wise not to use it. If you and SEO are not befriended yet, you should check my “What is SEO” guide. You’ll learn the importance of SEO strategy and basics like keyword research, what are long tail keywords and how to make a good use of them. The better SEO optimization, the more website visitors you have on your website! Content is not the king (“the king”? Who even comes out with that stuff? ), but it’s a wise strategy helping to get acknowledged across the web. How is content going to bring you visitors? First of all, SEO likes content. The more informational stuff you publish, the more related keywords it contains, the higher you’ll be in Google rankings. So it’s good to create not only transactional pages but also informative ones. If you have no idea where to start from, you can start with “About,” “Press” or “Mission” pages. But I’m not talking about simple pages with a couple of praise sentences about your company. I’m talking about high-quality content, like the one from Patagonia for example. They write about their gear and themselves, but they also write about the social responsibility, sustainability and environmental care. 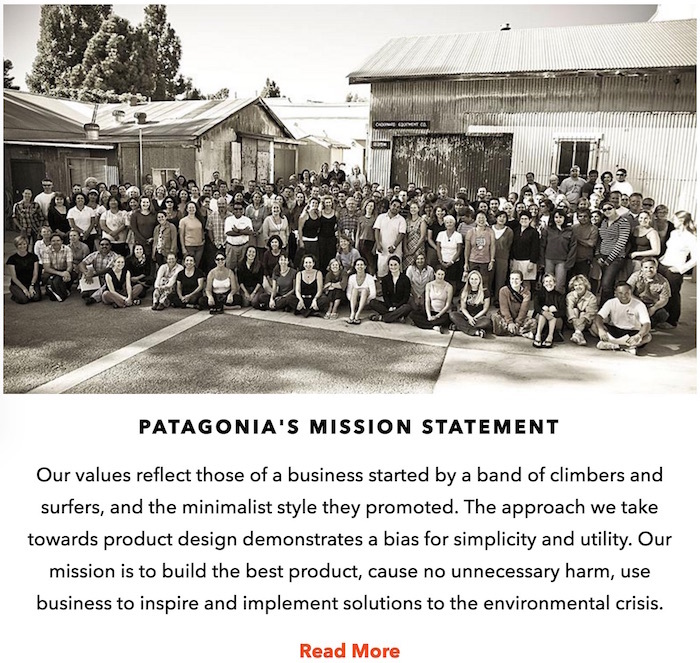 Of course, Patagonia doesn’t have to think about SEO as they are already widely known. You might ask then: “what do they need content marketing for?” And I would reply: to let their customers know what they stand for (and to gain their loyalty and trust), for company branding, for good PR. And that’s the second reason why you should think about content marketing strategy. Content marketing can become your brand’s voice and attract new customers. And it’s not only about blogging, but it’s also about creating landing pages, email campaigns, mission statements and guest posting. (You might want to read How to Kickstart Your Content Marketing Strategy in 3 Steps). Need a fine support channel to deal with this extra crowd on your website? Try LiveChat free 30-days trial! Affiliate marketing is a way to earn money by promoting other people’s or company’s products. People choose products they’d like to promote, they do it, and they get commissions based on their results. Affiliate is assigned a tracking URL to track how much traffic they are driving. The next step is happening on their side: they promote your company through several different ways: paid traffic, social media, email marketing, blog posts or reviews. Then, based on the number of leads, affiliates receive a commission. You are happy because you have a lot of traffic and new customers, they are happy because they are paid for their efforts. 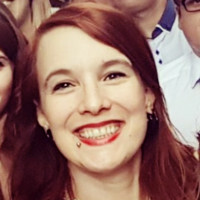 Many people think that having a business social media account is nothing more than hanging on Facebook every day and posting funny pictures. Well, not exactly. It’s a serious, full-time job. You have to respond promptly every time someone posts you and you have to solve people’s problems the same way you’d do by phone or email. But at the same time, social media give us an opportunity to find our potential customers in their natural habitat, make relationships with them, build trust and gain valuable leads. That’s why if you’ve ever asked yourself if social media account is a must-have for business, the answer is one: it is. But social media is not only about posting, but it can also be used in a more creative way. A good example is OtherTees. It’s a brand that sells pop culture t-shirts, but there is a twist: they sell every t-shirt model for two days only. So, if you were dreaming about this Freddie Mercury t-shirt and you didn’t make it on time, you won’t be able to purchase it! It might sound like an awful idea, but in fact, it’s a brilliant solution. 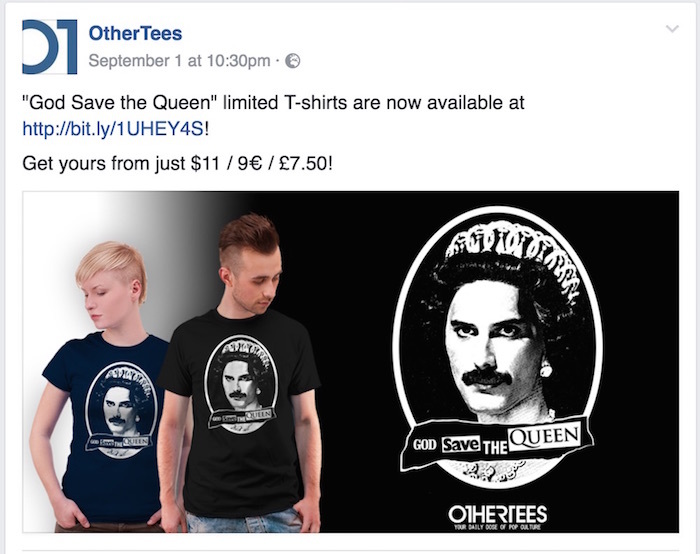 If you’ve missed buying Freddie’s t-shirt, you’ll be upset and determined never to miss another chance to buy one. Thanks to this strategy, they have over 52k followers and many people monitor their fan page on a daily basis. Their another idea is a Mystery Sale. You pay, pick your size and get a random t-shirt from over 100 designs. Funny, smooth and brilliant. If you’ve ever heard that you can increase your website traffic without marketing, don’t fall for it. 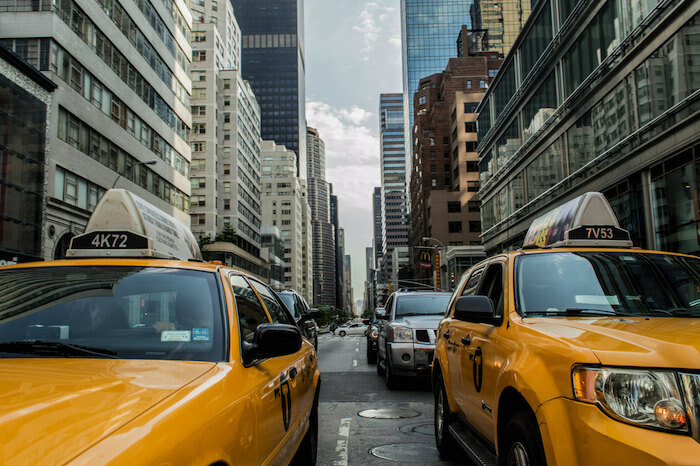 Increasing the traffic is choosing the right marketing strategy. You can choose content, email and community marketing, along with several social media strategies. You can start creating resources like webinars, podcasts, and infographics. You can also start organizing social events (like contests, promotions). The possibilities are endless. Remember that you need to start with the optimization of your website. You need to optimize it for mobile, for different browsers and systems. You also need to optimize all sales processes, so your website visitors don’t get confused. Another step is up to you and your creativity. You might want to start to write a blog or create a social media campaign. You can focus on email marketing or decide to create an affiliate program. Last but not least, follow your competitors and always stay active about your strategies. It is never too late to completely switch the directions – if something doesn’t work, don’t give up and change it! As long as you’re not afraid to test new strategies and solutions, you can be sure that they will bring you plenty of new visitors and, in the end, will be extremely profitable for your business. Photo courtesy of Andrew Ruiz via Creative Commons.